The Climate and Development Knowledge Network (CDKN) works to change the quality of life for people most challenged by the effects of climate change. We aim to bridge climate change and development policy: enabling developing countries to achieve a low-carbon and climate- resilient future along with poverty reduction and human development. CDKN supports decision-makers in government, the private and non- governmental sectors at national, regional and global level, in designing and delivering climate compatible development. We do this by combining research, advisory services and knowledge-sharing in support of locally- owned and managed policy processes. Our country-level work is making a significant contribution; and importantly, delivering value for money for the UK and Dutch taxpayers who generously support the work we do. We are very much looking forward to building on what we have begun. Drawing on the wealth of knowledge, perspectives and learning in our network, we plan to expand our scope with new donors and partners to address the urgent challenge of the transition to climate compatible development. We invite readers to learn from our experience – and to join us in promoting a low emissions, more resilient future. Throughout the year, we’ve provided guidance on the implementation of Nationally Determined Contributions (NDCs), integrating climate actions into economic sectors – agriculture, urban development, water resources and energy systems – and supported access to finance from both public and private sources. In our Annual Report 2017, we distill the rich learning from these projects across Africa, Asia and Latin America and the Caribbean. The report highlights CDKN’s tailored assistance, including supporting ten countries to prepare their national climate plans (known as ‘Intended Nationally Determined Contributions’) for the Paris climate summit in 2015. You can also read about CDKN’s continued work in broader capability-building in 2015-16. This ranged from assisting the governments of Kenya, Rwanda and Ethiopia to receive financing from the Green Climate Fund and Adaptation Fund – to working more broadly with Southern African universities to develop and test a curriculum on climate compatible development, which will nurture the next generation of leaders. Read about how we have saved property and possibly lives in Vietnam, where an evaluation of climate-resilient housing built with CDKN support showed that the houses and their residents were unharmed when Typhoon Nari hit the country. See how farmers surveyed after harvest-time in Kenya reported that their yields had increased by 15% after a CDKN-supported project brought seasonal and short-term forecasts to them by SMS message. Also in Kenya, our earlier work to support a country- wide consultation on the National Climate Change Action Plan helped to pave the way for the recently-approved Climate Change Bill in parliament. Read more in our 2015 Annual Report. In our 2014 Annual Report, we highlight cases where CDKN has helped to make a difference and evaluate our impact by focussing on ‘stories of change’. We look at the climate compatible development policies and practices that are helping to move climate change from being an ‘environment’ issue to a core economic issue. We also evaluate how we are helping governments to establish the institutions and standards to make effective use of domestic and international climate finance. Finally, we show how we are supporting developing countries to integrate disaster risk management into all aspects of development decision-making and practice. Read about these examples and more in our 2014 Annual Report. 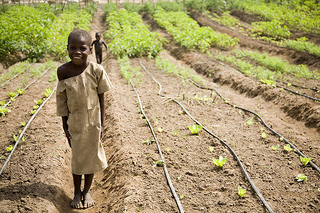 We outline the core themes of our programme in our 2013 Annual Report: climate compatible development policies and planning; developing countries’ access to climate finance; strengthened resilience through disaster risk management; and support for climate negotiators from the least developed and most climate-vulnerable countries. Diverse and inspiring examples show how, through partnerships, our work is creating new opportunities and benefits for developing countries in all of these areas. Read our 2013 Annual Report.